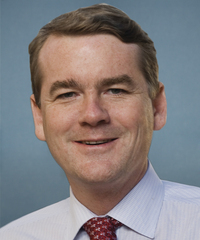 Michael Bennet is a U.S. Senator for Colorado. In 2009 Bennet was appointed to the Senate by Colorado Gov. Bill Ritter, after Ken Salazar became Interior Secretary. Bennet was elected to the Senate in 2010, and again in 2016. He has advocated for maintaining the Methane Rule, protecting the sage grouse, and full funding of the Land and Water Conservation Fund. He has criticized the Trump administration’s action to review the Antiquities Act, and opposed the transfer of public lands.